Hate them or love them, checks are still a part of life. Just like everything else you deal with on a daily basis, don’t you want your checks to say something about you? We thought so. That’s why we work hard to bring you a great selection of Checks Unlimited coupon codes. We want you to be able to personalize your checks and save some money at the same time. Founded in 1986, Colorado-based Checks Unlimited provides business, personal and computer checks for sale on their website. Select from more than 110 designs that include favorites like Disney, Scooby-Doo, Looney Tunes, and Harley Davidson. You can also choose from a variety of licensed brand checks that include Warner Brothers, Precious Moments, Major League Baseball, Peanuts, Ocean World, Superman, and Tinker Bell. Or, you can personalize your checks with a picture of your choosing. Checks Unlimited has special edition checks, duplicate checks, sheeted address labels, checkbook covers, and side-tear checks as well. They even offer business checks like three-on-a-page checks, desks sets, computer checks for inkjet and laser printers, binders, covers, stamps, window envelopes, and other products. If it has to do with checks, you can get it from Checks Unlimited, and you can head home from your shopping experience with more money in your wallet. Checks Unlimited carries accessories like check registers, address labels, checkbook covers, stampers, rolled labels, and identity security wallets. Before you place your order, make sure you have your bank information, including the financial institution name, routing number, account number, and check starting number handy. Checks Unlimited will validate your information with your financial institution. Should you need to cancel your order for any reason, you must call the company’s toll-free number. You are unable to cancel orders online. You’ll stand out from the rest with Checks Unlimited. There’s no better way to make the process of shopping just a little more personal. Unless you’d rather stick with nondescript cash, Checks Unlimited is the best way to put a unique stamp on all of your financial transactions. 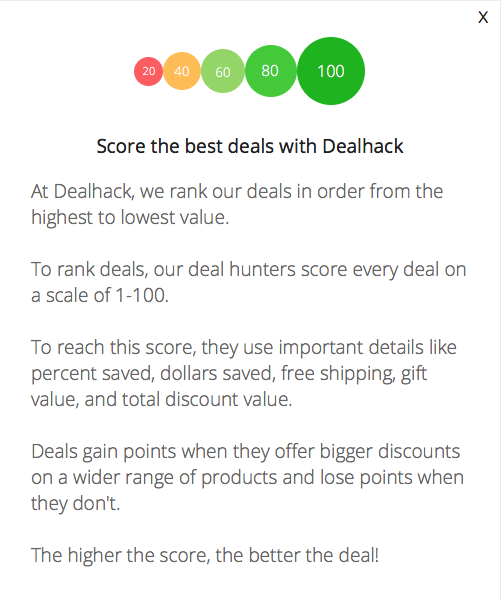 To start saving, just browse through Dealhack’s collection of deals and grab yourself a Checks Unlimited coupon code to get started immediately. Checks Unlimited does not currently have any social media profiles. If you need to get in touch with someone from the store, you can dial their toll-free number at 1-800-210-0468. If you’re a return customer, you can take advantage of these special offers. You can order photo products including photo checks and photo checkbook covers. Sign up for the Checks Unlimited email newsletter to receive special offers in your inbox. You can purchase products with a variety of licensed characters including Disney and Warner Brothers. If you have a print ad from checks unlimited, find out where to locate the offer codes. Check the Best Sellers section of the site for great ideas. What is Today’s Best Checks Unlimited Promo Code? The best Checks Unlimited promo code right now is FXWK. This code is for '30% off Accessories + Free Shipping'. Copy it and enter it on the Checks Unlimited checkout page to use it. Shipping charges are calculated based on your order and will be shown at checkout. Checks Unlimited offers a 100% satisfaction guarantee. If you’re unhappy with your checks or you have any problems, contact a customer service rep to rectify the situation.